It's very much the same as a 997 with broken power steering. I got lucky with a very well setup car. Shift points brake points all is the same. Just 10 seconds a lap slower than the 4.0, but you don't FEEL is. Same fun to drive. A bit easier maybe because things happen at 95% of the speed you're used to. So far I'm on the fence if I like DE or racing better..
Has anyone from PAG come out and specifically said that was the case? Didn't August [email protected] say there would be a special engine in the 991GT3-RS? When does the FIA homologation waiver for the 997GT3-RS expire? What are the odds of Porsche producing another dry-sump motor before 2015? We'll know for certain soon enough, but I predict 0% odds of going back to the old motor in the new RS. The odds on another dry sump motor to succeed the Mezger before 2015 are 100%. The engine developed for the current 991 GT3 has a true dry sump with a separate engine oil tank, unlike the normal 9A1 Carrera motor which has the "integrated dry sump". The engine developed for the current 991 GT3 has a true dry sump with a separate engine oil tank, unlike the normal 9A1 Carrera motor which has the "integrated dry sump". If this things comes with the Metzger engine, will that have any effect on the current level of insane pricing for the 997GT3RS-4.0? There will be no Metzger as the DFI is so much easier to produce and warranty. Even if the did, without the manual gearbox the 4.0L resale will remian strong. No, superwide, wide enough for 345. How wide are the rear tires of TT? I'm sure it will be a 4.0. The TT has the same tire sizes as the GT3, also in the ridiculous 20 inch diameter. Interestingly Im hearing nothing from the factory regards a larger displacement engine (not that necessarily means anything). I think we will be looking at focus around weight, styling and dynamics here with a small headline increase in power via exhaust,. mapping, gearing and maybe using some of the "latent hp slack" AP reckoned was on the table with the GT3. I can see this machine shaving no more than 7s off the Riog time and maybe 1-2 tenths to 100 (assumes gearing etc). going past the HP peak of 8,250 was more than made up for by the additional power on the upshift. Yes, but the reason for Revving 750 RPM past the HP peak of 8250 is to bring the next gear you upshift to closer to the HP peak. Apparently Porsche calculated the loss of some power going past the HP peak of 8,250 was more than made up for by the additional power on the upshift. Yes, I agree but there is no gear after 7th. So, 7th should be geared to hit peak HP (8,250) at theoretical Vmax (where HP and drag intersect). And 1st has to be geared for a good take-off and the other 5 ratios are dicated by those top and bottom gears. I think Porsche has already geared the 991 GT3 as well as possible with 7 available ratios and not willing to sacrifice top speed. I don't think they want the RS to be slower in Vmax, so I don't see them "improving" the gearing (unless they raise the redline or add another gear). 7th gear at optimum power on the GT3. With the GT3RS's higher drag coefficient (wider body, higher drag Wing, front strakes, etc) IMHO, the modest additional HP of the RS will be insufficient to counter the additional drag and the RS Max speed will likely be lower than the GT3. I don't see where changing gear ratios will make them go any faster. Of course, Race Tracks don't normally have any straights long enough for High HP Sports cars to achieve their "Top Speed" anyway so that number is more a bragging rights Sales and marketing tool. 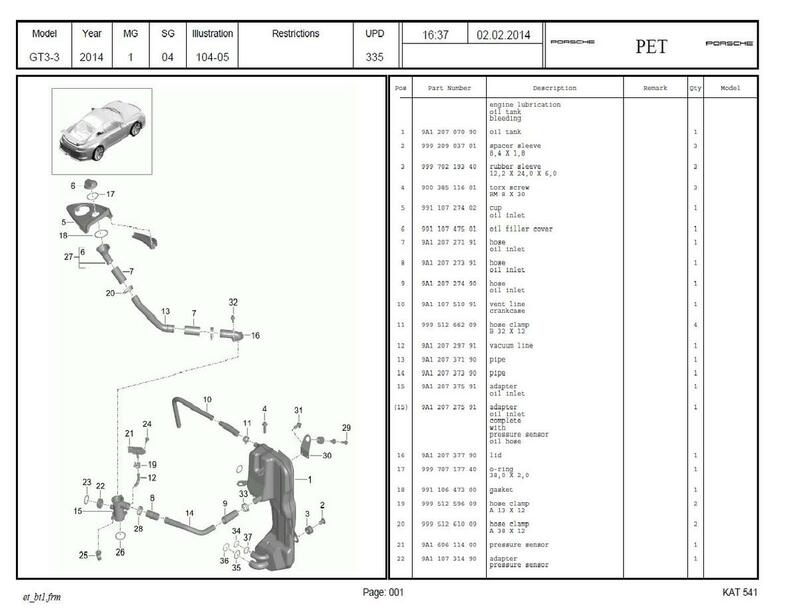 Porsche's GT3 gear "Specifications" are quoted below. "Shorter gear ratios provide completely new characteristics, meaning that the maximum speed is reached in the seventh and highest gear. In conjunction with the rear axle ratio, which was shortened by 15 per cent, the new 911 GT3 therefore comes with significantly shorter gear ratios than the transmission ratios of a 911 Carrera models – in all gears." Maybe you're right that the RS will have a slightly lower Vmax. But I guess my point was that I don't see Porsche intentionally lowering the potential top speed to achieve more aggressive acceleration at low and middle speeds. I think they will gear the car to maximize its potential Vmax. With 7 gears and 9,000rpm, there really is no need to limit Vmax, as the car is well geared at virtually any speed it can travel.